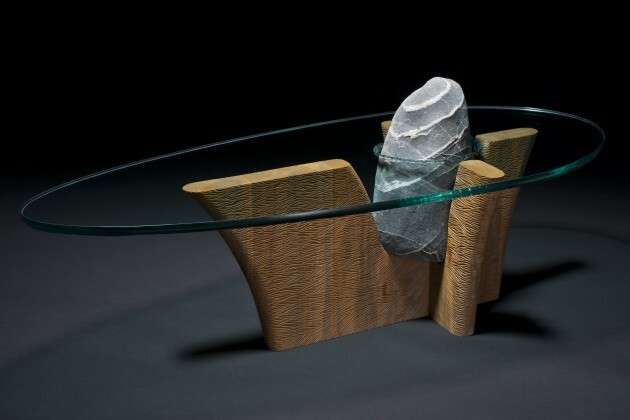 These pieces combine wood with natural stone, letting the color and texture of each enhance that of the other. 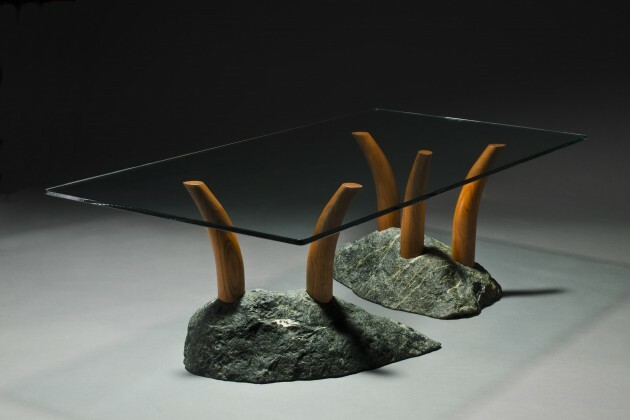 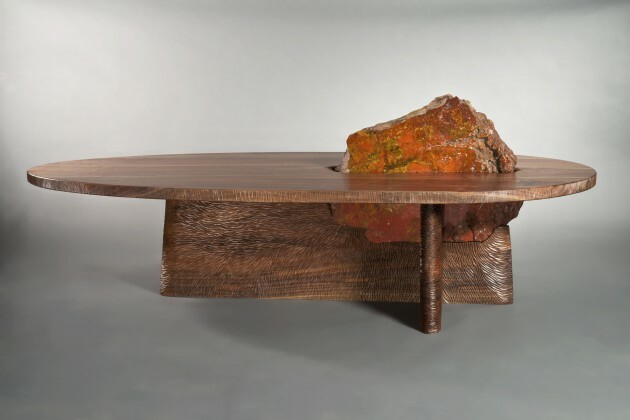 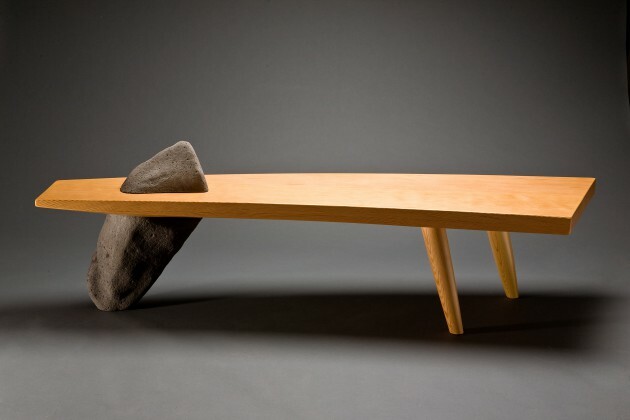 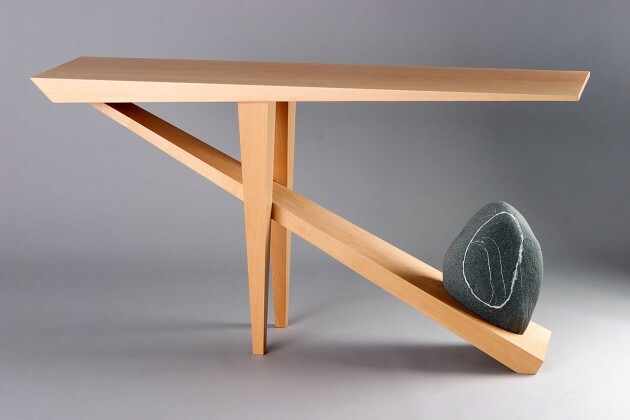 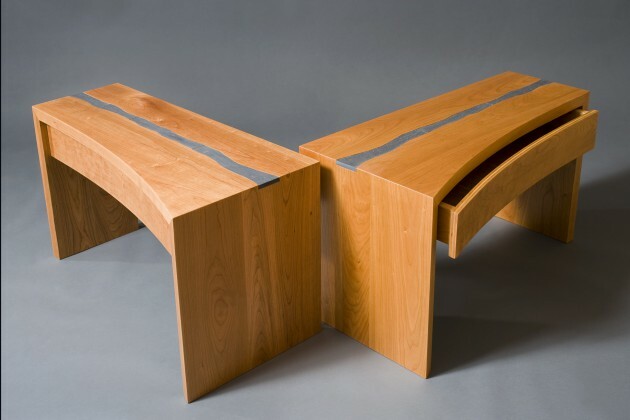 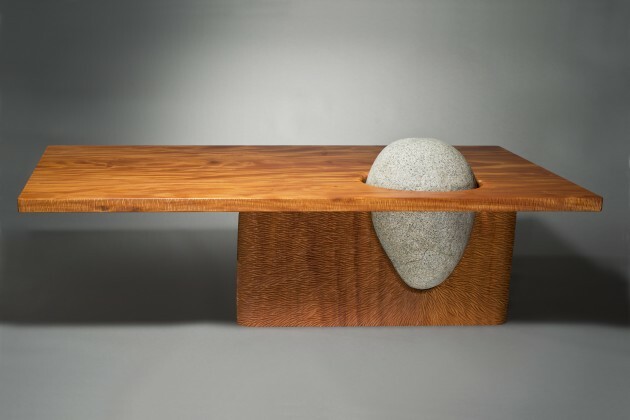 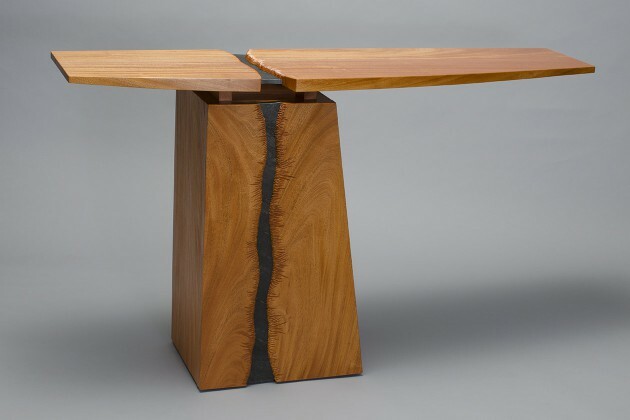 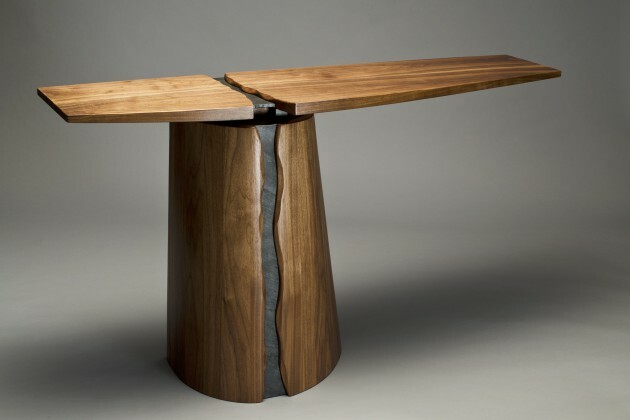 In many of these tables and benches, the wood is literally balanced by the weight of the stone. 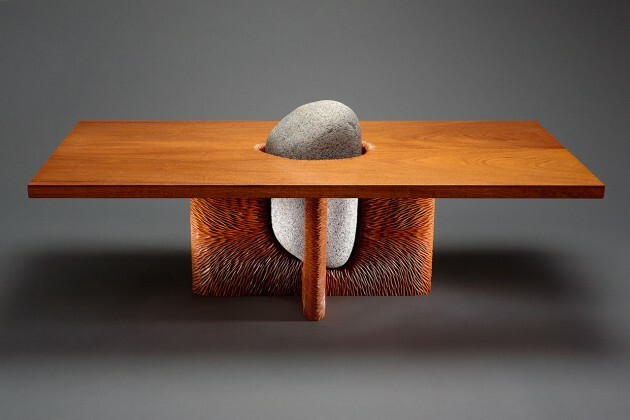 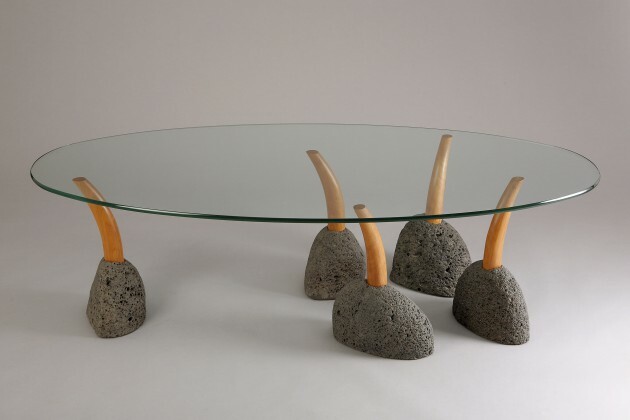 Often the design switches the usual qualities of the materials – the wood may look sharp and hard, while the organic shape of the stone makes it seem soft and friendly by comparison. 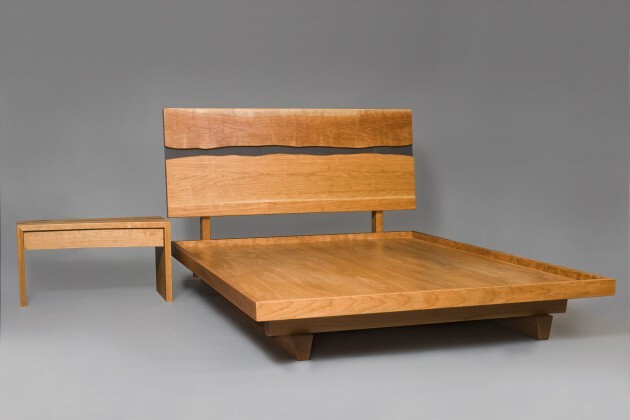 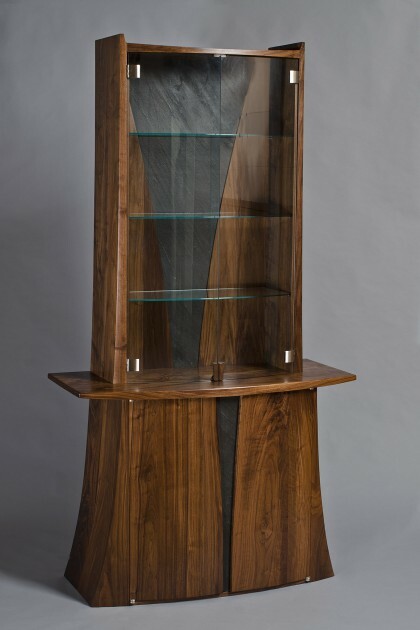 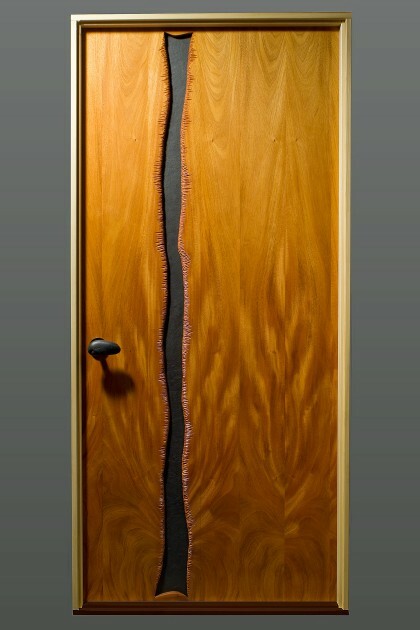 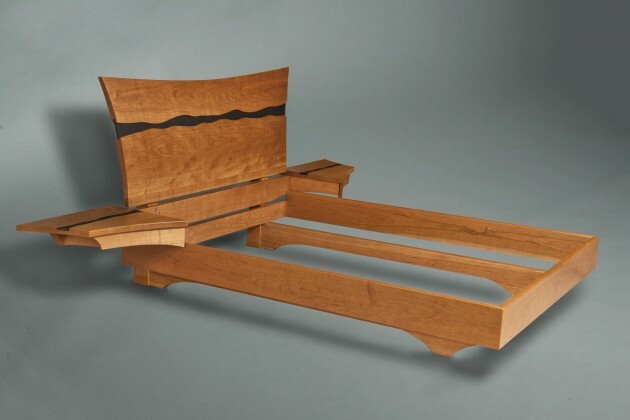 The doors, buffet, hutch and bed incorporate slate to reflect the form of a river.